In the present work we reviewed recent advances concerning neuroprotective/neurotrophic effects of acute or chronic nicotine exposure, and the signalling pathways mediating these effects, including mechanisms implicated in nicotine addiction and nAChR desensitization. Experimental and clinical data largely indicate long-lasting effects of nicotine and nicotinic agonists that imply a neuroprotective/neurotrophic role of nAChR activation, involving mainly α7 and α4β2 nAChR subtypes, as evidenced using selective nAChR agonists. Compounds interacting with neuronal nAChRs have the potential to be neuroprotective and treatment with nAChR agonists elicits long-lasting neurotrophic effects, e.g. 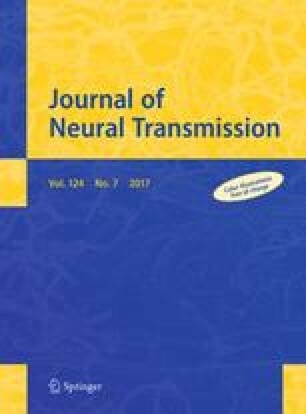 improvement of cognitive performance in a variety of behavioural tests in rats, monkeys and humans. Nicotine addiction, which is mediated by interaction with nACh receptors, is believed to involve the modification of signalling cascades that modulate synaptic plasticity and gene expression. Desensitization, in addition to protecting cells from uncontrolled excitation, is recently considered as a form of signal plasticity. nAChR can generate these longe-lasting effects by elaboration of complex intracellular signals that mediate medium to long-term events crucial for neuronal maintenance, survival and regeneration. Although a comprehensive survey of the gene-based molecular mechanisms that underlie nicotine effects has yet not been performed a growing amount of data is beginning to improve our understanding of signalling mechanisms that lead to neurotrophic/neuroprotective responses. Evidence for an involvement of the fibroblast growth factor-2 gene in nAChR mechanisms mediating neuronal survival, trophism and plasticity has been obtained. However, more work is needed to establish the mechanisms involved in the effects of nicotinic receptor subtype activation from cognition-enhancing and neurotrophic effects to smoking behaviour and to determine more precisely the therapeutic objectives in potential nicotinic drug treatments of neurodegenerative diseases.